Atlantis is scheduled to make history as the final launch of the 30 year long Space Shuttle program July 9, 2011 at 11:26 a.m. EDT. It’s probably going to be rescheduled due to "a lot of nuisance weather," but I wanted to have this information ready to go for anyone who may need it. 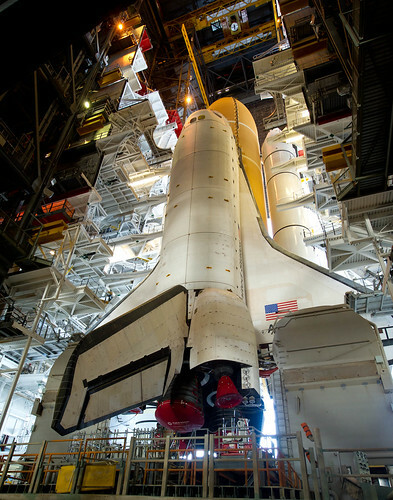 If the shuttle is delayed past Sunday, NASA states that the launch will be reschedule for July 16. NASA TV is live right now (7/8 8:30AM EST), but I don’t think we’ll being seeing a launch today. I’m on the other coast, but the weather is terrible. *edit* Shows what I know! Atlantis is GO for launch!